"That was the impetus that prompted the Polish elite toward dropping legal euphemisms"
The law on the status of the UPA (Ukrainian Insurgent Army), which was adopted in the spring of 2015, was a turning point in relations between Ukraine and Poland, Lukasz Adamski, vice-director of the Center for Polish-Russian Dialogue and Understanding, said on 13 July. 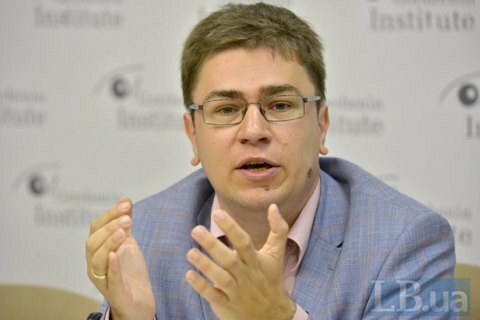 Speaking at the organised by Gorshenin Institute roundtable conference entitled "Ukrainian-Polish relations: a strategic partnership or a tangle of contradictions" Adamski reminded that after the Maydan, Poland became the main ally of Ukraine. In fact, the only factor that separates the two countries is different perception of history. "Poles and Ukrainians, I would say, are divided not so much by history itself, because Volyn tragedy, for example, was 73 years ago, and there is no living witnesses, it is just perception that remains," he stressed. Adamski said that the Ukrainian elite has long ignored the problem and did not notice that Poles were losing patience. This process reached culmination in the spring of 2015, he said. "The decommunisation laws that have been adopted, I think, were very positive overall. Meanwhile, the recognition of the Ukrainian Insurgent Army and the cult of the like organizations, which in Poland are pretty negatively perceived, was the impetus that prompted the Polish elite toward the rejection of legal euphemisms," Adamski said . He reminded that it was then that the Polish Senate adopted a resolution in which the phrase "crime with signs of genocide" regarding the Volyn tragedy was replaced by a more assertive formulation of "genocide".